Today’s #SundaySupper celebrates the marriage of food and wine—a match made in heaven! All of today’s bloggers made dishes either paired with a specific wine or with wine in the recipe. Or, like me, both! (After all, if the wine is in the dish then it also tastes wonderful in the glass.) 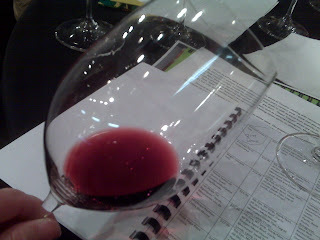 And some of our group used specific wines from the Schlossadler Family of Wine and The Wine Club by Schlossadler Wines. Many people are a bit intimidated at the thought of matching food with wine, especially when faced with the wide selection available at a shop, store, or online. For almost three years I wrote a food and wine column for a New Hampshire newspaper. I’m no expert, by any means, but local wine shop owners are, and they are happy to give advice and suggestions. The old rule of red wine with beef and white wine with chicken and fish is a good place to start, but it doesn’t always hold true. The key is balance. The wine you choose should not overpower the food, and vice versa. For example, a heavy red wine would completely overwhelm a lovely piece of fish or a lightly seasoned chicken dish. And a crisp white wine would be wasted if served with robust roast beef. Another good tip is to match the dish’s country of origin with a wine from that same country. For example, Italian foods go nicely with Italian wines, and so on. I typically drink red wines—Pinot Noir, Shiraz, and Cabernet Sauvignon. However, my favorite white variety is an Italian Pinot Grigio, a light, dry, crisp wine with a hint of citrus. It pairs well with seafood, creamy pasta dishes, and one of my favorite recipes, Chicken Florentine, both as an ingredient and as the meal’s beverage-of-choice. Chicken Florentine is an elegant dish thanks to its lovely wine and cream sauce flavored with shallots and garlic. However, it is also easy to prepare! I’ve made it many times as a weeknight dinner. Traditionally, the chicken is served of a bed of sauteed spinach, but I’ve also served it with buttered noodles for those who aren’t fans of Popeye’s favorite vegetable. In a large skillet over medium heat, place 1 tablespoon each of the butter and olive oil. Once the butter is melted, saute the baby spinach until just wilted and tender. Place into a small bowl and cover with foil to keep warm. Sprinkle the chicken breasts with salt and pepper, and then dredge in the flour to lightly coat. Shake off the excess flour. In the same skillet, add another 1 tablespoon each of butter and olive oil until the butter melts. Add the chicken and cook until brown, about 5 minutes per side. Place the chicken on a plate and cover with foil to stay warm. Continuing in the same skillet, melt the remaining butter and olive oil. Add the shallots and garlic and saute until the shallots are translucent, about 1 minute. Pour in the wine, stirring to scrape up the brown bits in the pan, and bring to a boil. Simmer until the liquid has reduced by half, about 3 minutes. Add the cream and continue to boil until the sauce reduced by half again, about another 3 minutes. Add the parsley, plus salt and pepper to taste. Return the chicken to the skillet, turning to coat in the sauce. To plate, place a mound of the spinach in the center of each plate. Place a chicken breast on top of the spinach and then spoon sauce over the top. Garnish with a bit of chopped parsley. Be sure to join us at 7pm ET for our #SundaySupper Chat with @schlossiwines. 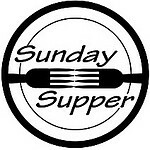 Follow along on twitter by using hashtag #SundaySupper or using Tweetchat. And check out our #sundaysupper pinterest board. We have a special discount for all participants: Free Shipping when you join The Wine Club by Schlossadler Wines! Use code FFSS1. The next Shipment is October 2012 and features Halloween Day Ghostly Whites, Haunted Red for all friendly spirits everywhere. This is just mouthwatering! Lovely recipe! Happy SundaySupper! I have never had chicken florentine! This looks amazing! 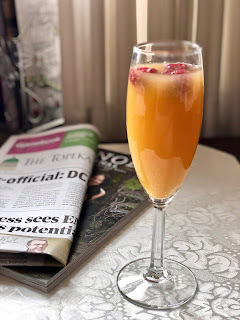 Beautiful post and beautiful recipe that I can't wait to try! Thank you for sharing during #SundaySupper. A wonderful chicken dish, I really love florentine! Interesting idea of associating the country´s food with their wines. I have never had chicken florentine, and that has got to change. This recipe looks so good. It's going on this week's menu. I can't wait! Happy #SundaySupper! I have a version of chicken florentine that I make too but I'm going to have to admit that yours look better then mine! I'll have to make this one sometime soon. My mouth is currently watering...I want this dish NOW!! Absolutely beautiful. This looks delicious! I am a big fan of Pinot Grigio too. This looks so good. It's been too long since I've had anything "Florentine", and I love spinach. Thank you for the wine lesson. I'm not a stickler for drinking red with red meat and white with white meat but didn't know about pairing wine with the dish's country! The chicken florentine looks fantastic! Yes, big fan of Popeye's favourite veg so will be going for the spinach version. This looks absolutely delicioius. (Good tip too to pair wine and food from the same region). This sounds and looks incredibly delicious!! A perfect Sunday Supper!